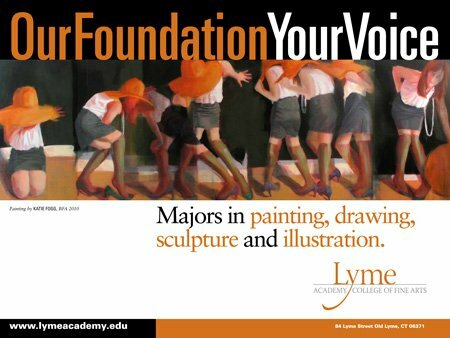 For the good folks at Lyme Academy, we just put together the last piece of a print campaign. 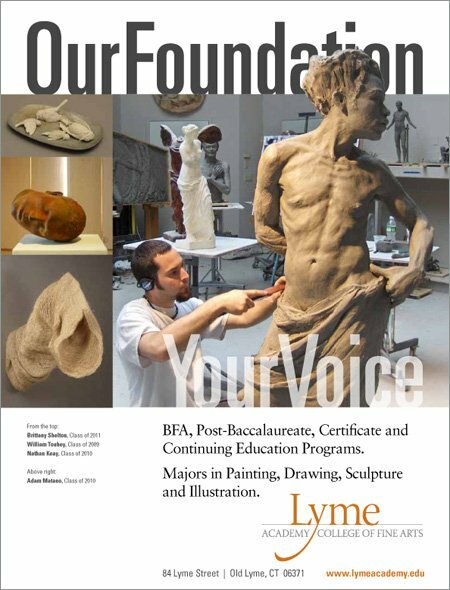 This is a full page ad that just ran in Sculpture Magazine. 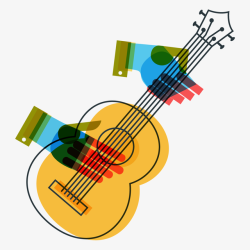 We started out in September by creating posters and a “Quick-Facts” brochure. 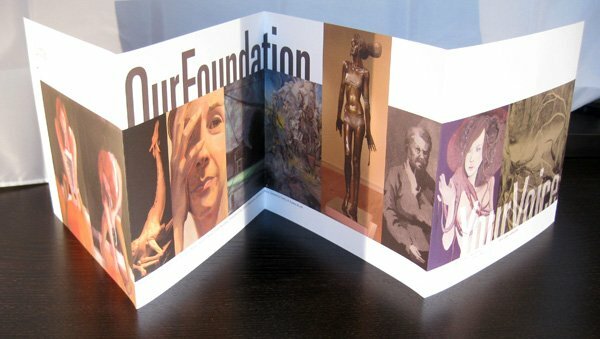 All the pieces were designed to showcase student work while carrying the message throughout the year: “Our Foundation, Your Voice”.